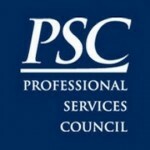 The Professional Services Council has appointed new members and re-elected several executives to its 2018 executive committee and board of directors. Carey Smith, president of Parsons’ federal business unit, was re-elected secretary of the board of directors during the trade group’s annual meeting held Thursday, PSC said Monday. Smith will join Ken Asbury, president and CEO of CACI International, to continue to serve in 2018 as members of the council’s executive committee, which includes two new members and 13 continuing members. PSC also re-elected 18 members to serve for another three-year terms on the association’s board of directors. The trade association noted that 11 executives were elected as new board members and 53 members who were not subject to re-election will continue to serve on the board in 2018. Click here to view the full list of new and re-elected members of PSC’s executive committee and board of directors.